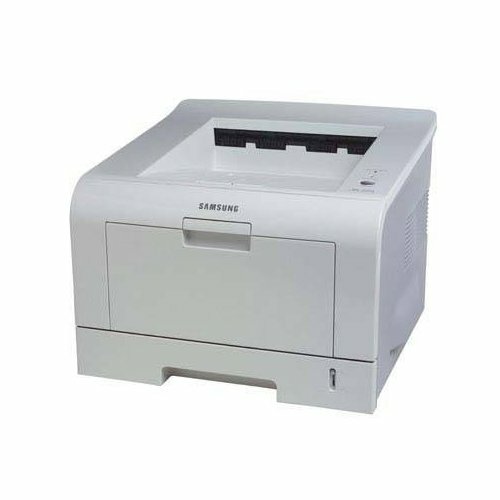 The Samsung ML-2250 is a black and white laser printer that offers solid performance and has expansion capabilities that are able to sustain a broader range of home office and small business needs. This model is advertised as a digital laser printing solution with high output capabilities yet economical and easy to use. Considered to be one of the better deals on the market at the time of its release, the Samsung ML-2250 combined features and functionality with a low initial price tag and cost of consumables. The Samsung ML-2250 can achieve printing speeds of up to 20 pages per minute. An effective output resolution of 1,200 x 1,200 dots per inch provides enough detail to easily produce text documents with a professional quality look and can also render decent quality grayscale graphics. A first print out time of 10 seconds ensures that both single and multiple document jobs can be started quickly with minimal wait times. The printer controller features a Samsung 166 MHz processor and 16 MB of page RAM for printing some of the most data intensive documents seamlessly without delays or printer “think” times. Memory upgrades can be purchased as well, allowing for a maximum page RAM of 144 MB, more than enough to handle larger volume print jobs with hundreds of pages of output, as well as sharing of this printer as a network resource. PCL6, IBM ProPrinter and EPSON language emulations are installed in this model's firmware to provide compatibility with a wide range of personal and business software applications. This model is equipped with a built-in USB 2.0 and parallel interface, accommodating a large number of computer systems that were being used at the time of this unit's release. 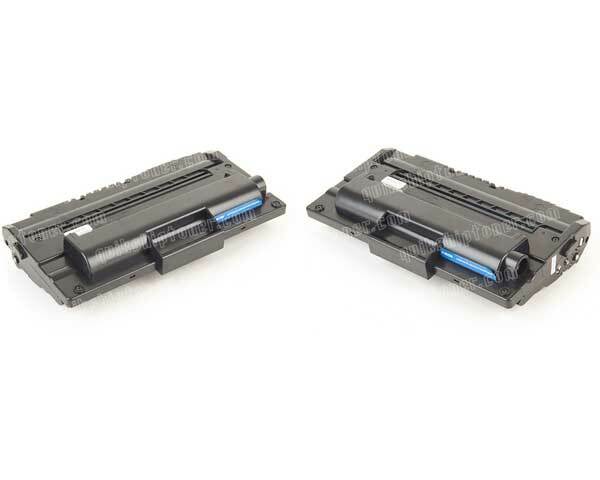 An optional 10/100Base-TX internal Ethernet controller can be purchased, making this printer fully sharable as a network resource that can be connected to a print server, router, hub or switch. 802.11 wireless LAN capabilities can be integrated into the Ethernet controller interface, allowing for connection to Wi-Fi networks at home or at work, as well as laptops and PDA's. Windows operating systems up to XP are supported by this model's driver bundles, as well as a few select builds of Linux. Standard paper input capacity is a total of 300 sheets, divided between a 250 sheet cassette and a 50 sheet multipurpose tray. Output capacity is a maximum of 150 sheets face down and one sheet face up. An additional 250 sheet input cassette can be purchased, which can be stacked with the standard paper tray, providing a maximum possible input capacity of 550 sheets of paper. The small dimensional footprint and weight of this unit makes integration into any work space possible, whether it be a small business, home office or personal space. Accommodated media sizes range from 3 x 5 in. to 8.5 x 14 legal paper. Supported media types include plain paper, transparencies, labels, card stock and envelopes. Duplexing is provided through software drivers and tools, making it possible to print on both sides of a page. The larger output capabilities of this model come with lower print speeds, as the print mechanism design is built to accommodate durability slightly more than performance. Even though page RAM can be upgraded to 144 MB on this model, it is way more than is necessary for this printer unless Ethernet capabilities are included. Macintosh OS compatibility is not supported, limiting compatibility primarily to Windows based systems. Even though the Mac OS can theoretically handle virtually any printer connected through the TCP/IP protocol, there would most likely be limited functionality. Although Samsung guarantees minimal noise while printing, warm up cycles can be quite loud and distracting. Duplexing capabilities are limited, making it necessary to manually reload each page for double-sided printing, which can be confusing and could possibly cause toner and paper waste if mistakes are made. 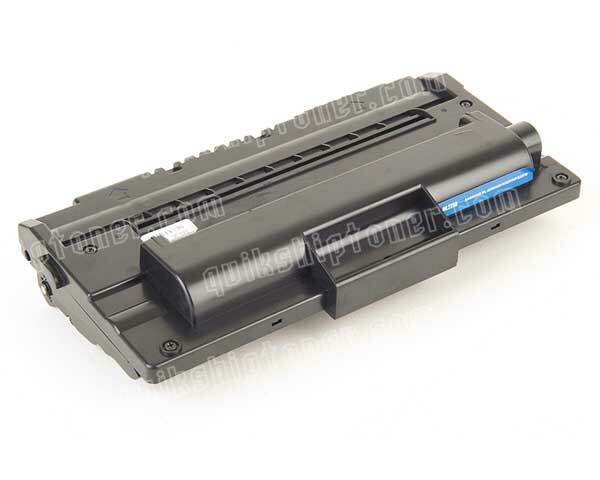 Review it: "Samsung ML-2250 "
The Samsung ML-2250 ships with a starter black toner cartridge with an average yield capacity of 1,000 sheets at 5% coverage. Replacement toner offers an average yield capacity of 5,000 sheets at 5% coverage. ML-2250 (ML2250) 2Pack of Toner Cartridges - 5,000 Pages Ea.